This exquisitely adorned 1812 Plantation Home offers 2 guest rooms with private baths, dining area , multiple lounging areas and back deck. There are fireplaces in the kitchen, dining and both guest rooms. Entertaining is strictly prohibited. The Master bedroom boasts a King bed, flat-screen television, soaking tub, walk-in ceramic tiled shower and a view of the pond. The Guest room which is located in between the Master bedroom and Library has a Queen bed, walk-in ceramic tiled shower and views of the woods that surround the Riddick House. Each room has a maximum occupancy of 2 guests. Stow-away beds can be brought in for up to 2 guests for an additional charge. The total maximum occupancy is 6 persons. Gas stove and oven available upon request only. The 5000 ft² Riddick House may be rented out for intimate events of 75 guests or fewer, but will be overseen by our event coordinator. This house is NOT pet-friendly. 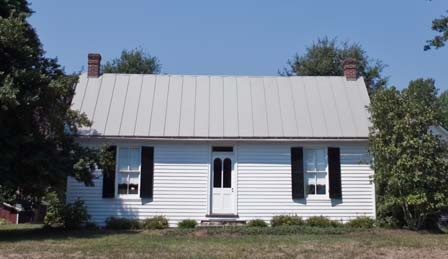 The Civil War House, built in the mid to late 1800’s, was the main home at Stevenson Ridge until the property was purchased by its current owners in 2001. An addition that was constructed in the 1950’s was removed in 2001 in order to restore the home to its original condition. The home also boasts its original wood flooring! 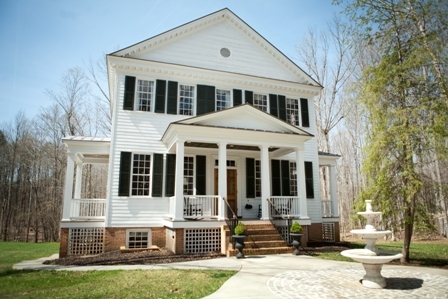 This 1800 ft² antique home is befitting for a couple, small family or extended stay*. The home includes a Master room with Queen bed and Loft with Full bed, 1 full bath, complete kitchen, dining room with a wood-burning fireplace and lounging deck. The master bedroom boasts a gas fireplace. Pet friendly. 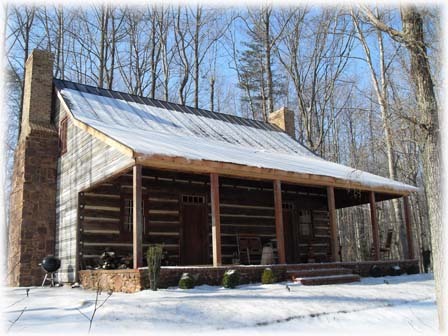 If you are looking for a romantic get-a-way or relaxing weekend, The Log Home at Stevenson Ridge is perfect for you. This 1830’s home offers 2 bedrooms (master and loft), 1.5 baths, kitchenette/dining room, living room and four wood-burning fireplaces. The kitchenette has a mini-fridge, coffee maker and toaster oven. Be sure to bring a good book to read in front of the fireplace or in one of the rocking chairs on the front porch over-looking the pond. Each room has a 2 person maximum occupancy. The home has a total maximum occupancy of 4 guests. 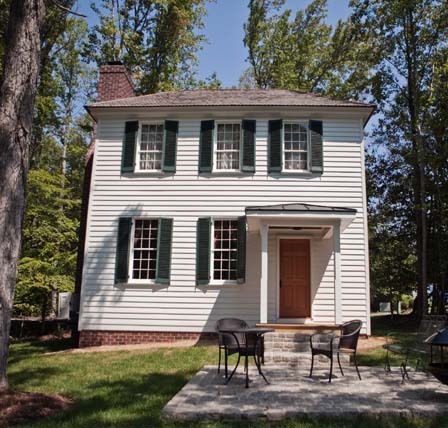 Our oldest structure at Stevenson Ridge dates back to 1732… the Spy Hill House. This two-story home boasts a master suite with a queen bed, bathroom adorned with modern fixtures, two wood-burning fireplaces, living room, kitchenette and private patio overlooking the pond. Nestled between a heavy cluster of trees, the Spy Hill House is the ideal lodging for a quiet and secluded retreat. The antique furnishings and natural decor will evoke feelings of a more simple time, leaving you refreshed and revived. Bring your fishing poles, a good book and walking shoes for a tour of our original Civil War trenches. This cottage is NOT pet-friendly. 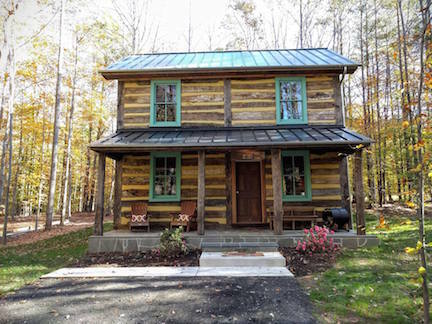 This quaint log cabin tucked back in the thick woods of Stevenson Ridge is your perfect sanctuary from your bustling home life. 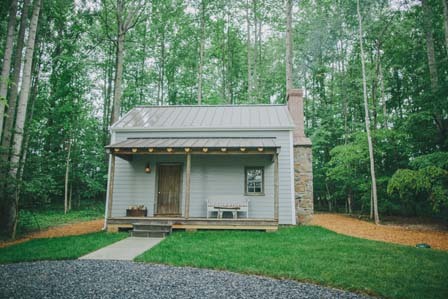 With a private patio amid Virginia’s nature and wildlife, you will feel the weight lift off your shoulders as you relax and enjoy a glass of local Virginia wine or read up on our famous Civil War History. 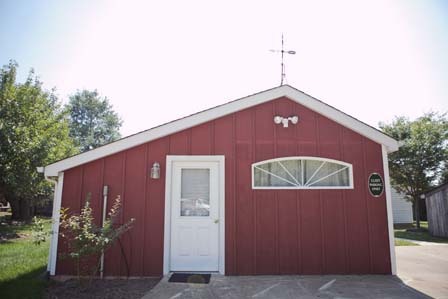 This renovated corn shed mimics a studio apartment adorned with ceramic tile, bright hues and a wood-burning fireplace. The kitchenette, breakfast nook and comfortable living space will make this your home away from home! The Corn Crib is also completely handicap accessible. Pet friendly. Take a journey back in time while staying in this 1850’s structure that was once the home to servants of the White Oak Plantation in Greene County, Virginia. 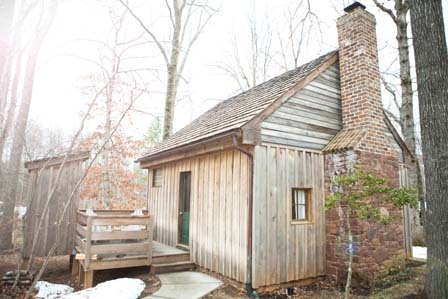 This one bedroom rustic lodging 2 twin beds and is ideal for history enthusiasts. A wood-burning fireplace adorns the downstairs, while the sleeping quarters are in the loft above. Decorated in period furnishings as well as an open air (no door) bathroom, visitors will get a more intimate look at our Country’s history. While visiting, take a tour of our extensive Civil War trenches within walking distance from your quarters. 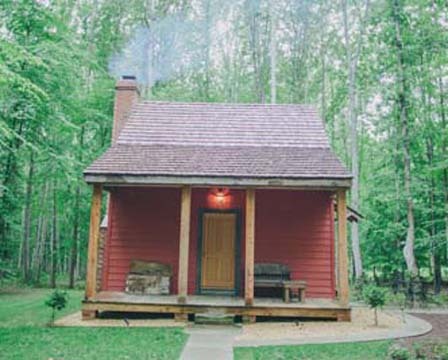 Rumored to be an in-home post office in Greene County, VA, this cabin has been restored to provide you with a charming getaway. The loft bedroom provides a cozy view of the wood-burning fireplace in the living room below. A high-peaked ceiling and exposed-log crossbeams reveal the Tobacco Barn’s past life as a place for hanging tobacco leaves to dry. Now converted to a one-room guest house, it features a cozy fireplace, soapstone floors, a homey sitting area, and a tall, high-post bed. The pressed-tin ceiling and whiskey-barrel sink in the bathroom add to its charm. The front porch swing, perfect for summer evenings, offers a relaxing view of the woods and some of our other historic houses. The Bedford, a two-story structure originally built in 1830, comes from the south-central Pennsylvania town of Bedford. 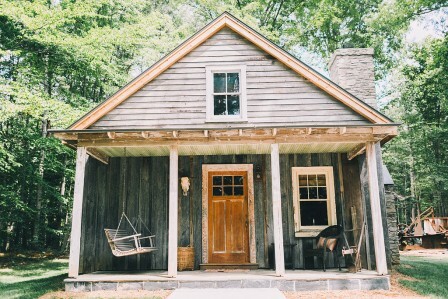 The house was originally built in the “corner post” style, which combines timber frame and log home building techniques. The community of Swedish immigrants in Bedford built fewer than six of the houses, making them architecturally distinctive. The house now features a fireplace, a kitchen and dining area, two upstairs bedrooms, one and a half baths including a soaking tub, a back patio, and a covered front porch. This cabin is NOT pet-friendly. To learn more about policies, procedures, and amenities, click here.